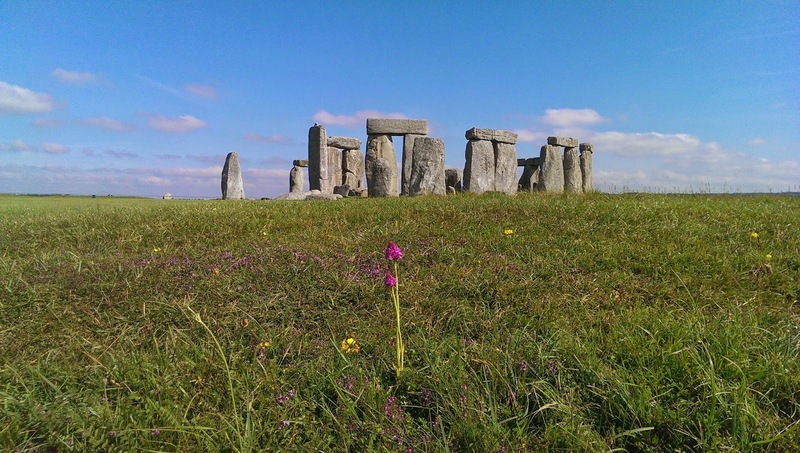 Summer Solstice 2014 - Where have all the flowers gone? 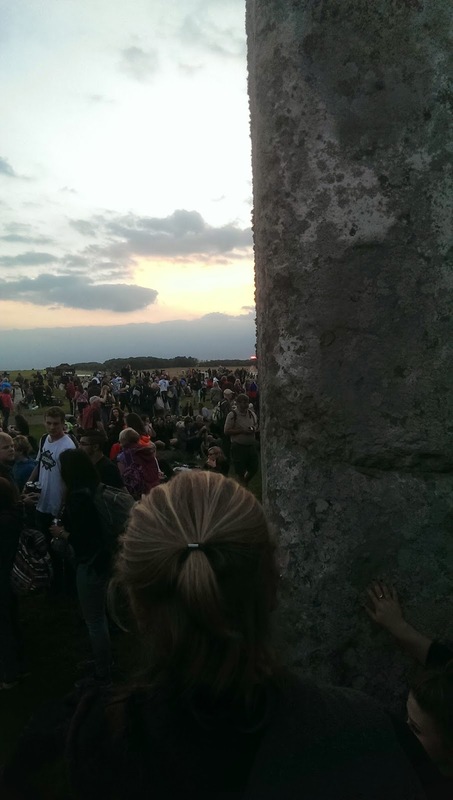 A frantic dash back to a position behind Stone 56 of the Great Trilithon on June 20th 2014 enabled me to catch the setting sun in a tiny gap in the clouds. As predicted it sets in line with the Great Trilithon. 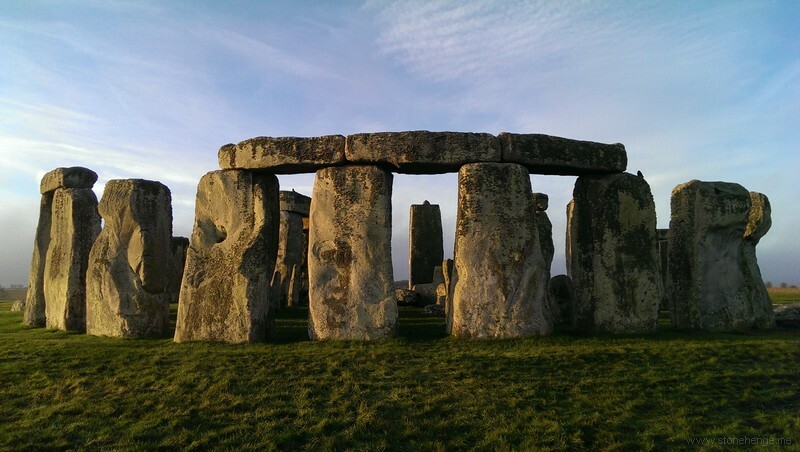 See http://www.sarsen.org/2014/05/midwinter-solstice-sunrise-alignments.html for more details. 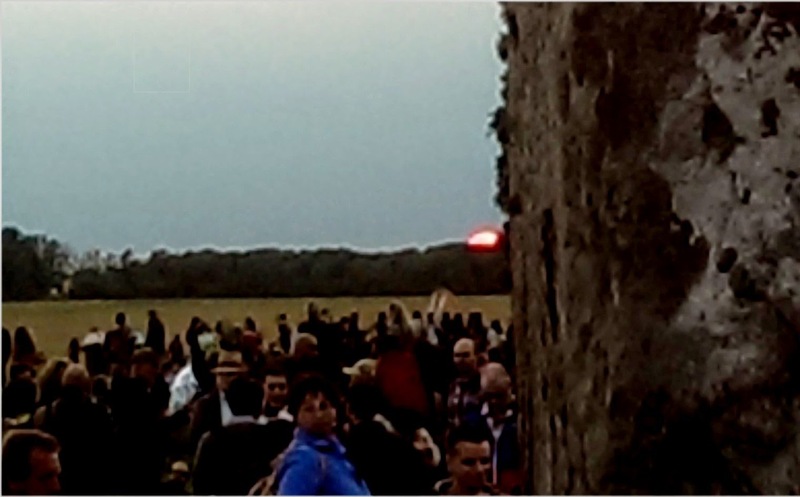 Please note that 4500 years ago the sun set a solar disc width further north, the horizon has trees on it, the photograph was taken from about 2.5 metres above ground and is down the side of the stone not down its centre, the stone was straightened in 1901; all these factors and others mean that I am not claiming an exact alignment to within a degree but that it is a deliberate alignment that has symbolic significance. Stone 55 alignment and original position. Stone 55 is the broken and fallen upright of the Great Trilithon. 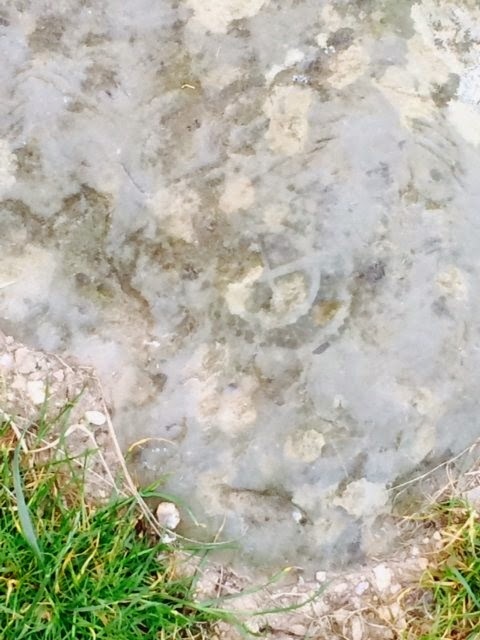 On what is now the upper surface it has a bulb of unworked sarsen presumably left to help stabilize the shallow foot. 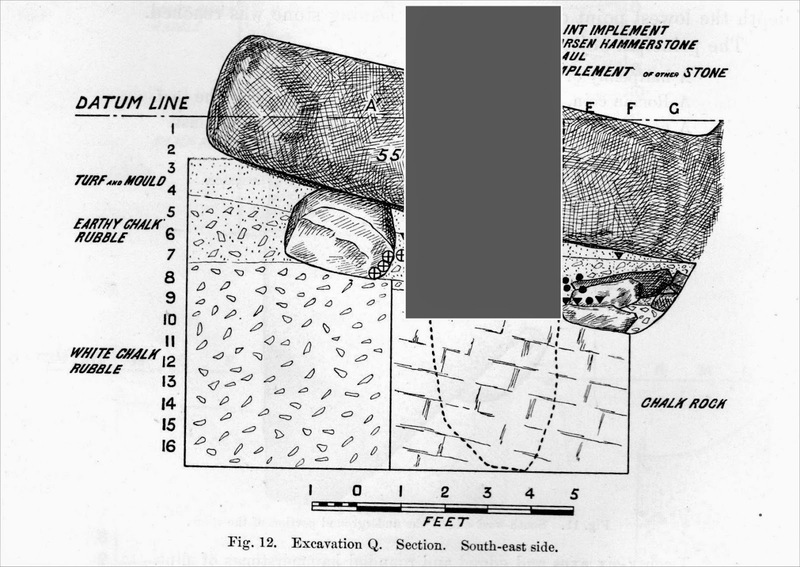 As far as I know Gowland didn't excavate the other side of the bulb and so we don't know the shape of the stone there. 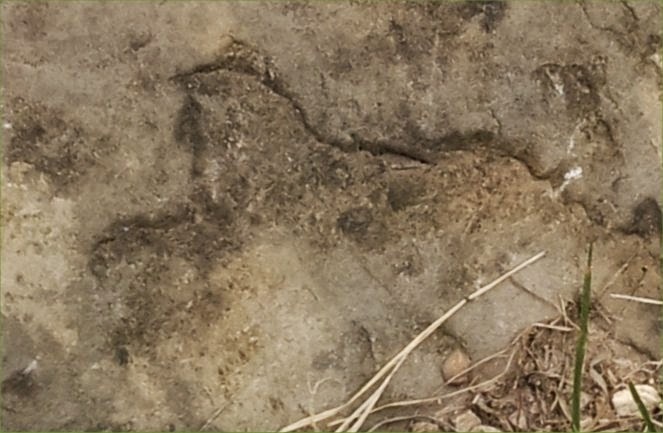 But the assumption is that is flattish and in line with the excavated portion of the stone. To the north east of the stonehole there are two sarsen blocks which are thought to be packing stones. To the southwest there are more shallower stones which would seem to have been packed under the bulb. 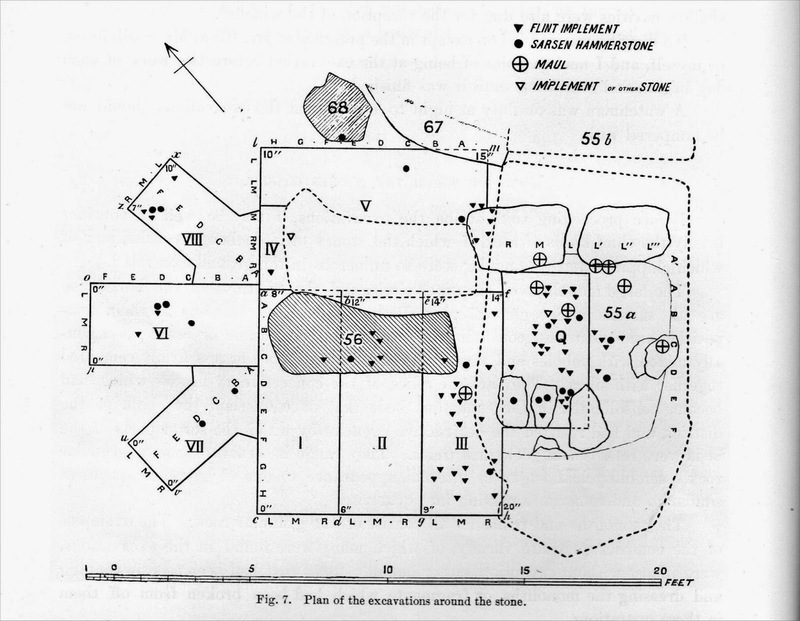 Gowland says (pg 53 of his 1901 report "Recent Excavations at Stonehenge"): "..there cannot be the slightest doubt that they (the shallower stones) formed the packing of the back of the base, and the two larger blocks and stone mauls that of the front. The base must therefore originally occupied the space between them and this would bring the upright of the trilithon into line with its companion, No. 56." 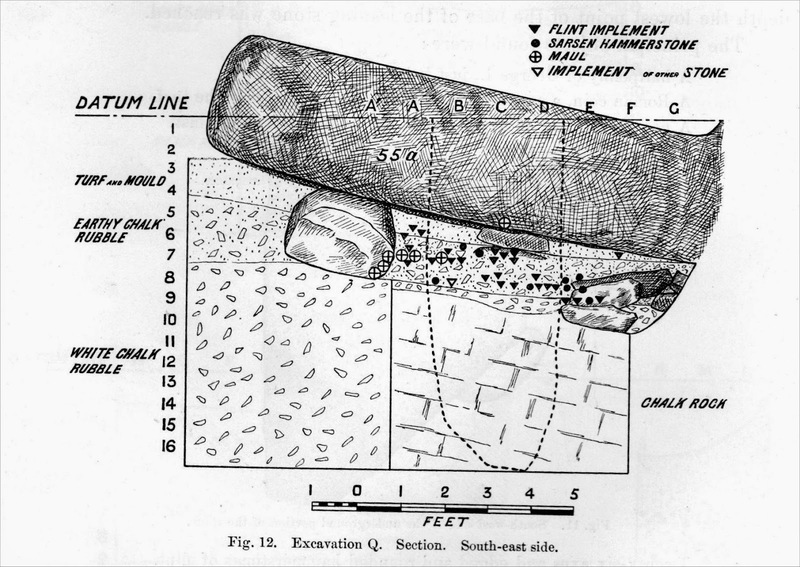 The illustrations below show the original Gowland plans and also with a block showing the outline size of Stone 55 (108 cm - 3'6" wide). This shows how 55 fits neatly into the hole and that the back particularly is in line with the back of the other upright 56. Note that the trees on the horizon displace the Sun’s “first gleam” position to the right of the tip of the HeleStone. If the Larkhill “SunGap” was restored first gleam would appear to the left of the HeleStone as it still did only 100 years ago. The difference is due to the the change in the obliquity of the ecliptic in the past four and a half millennia. 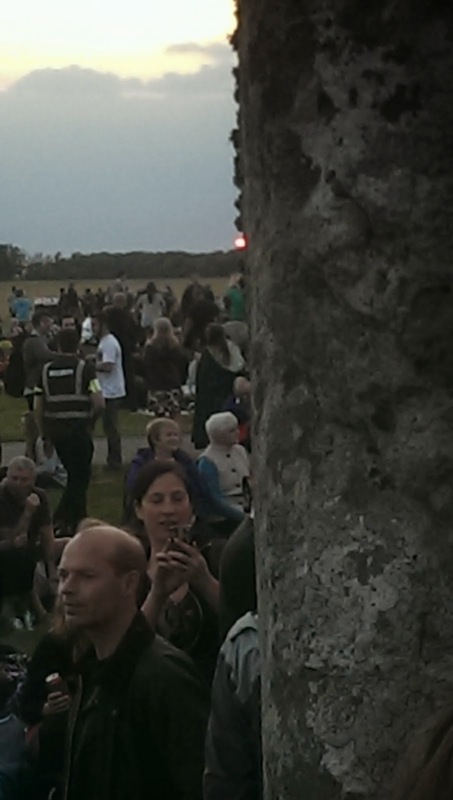 Taken with Canon 1100D from just in front of the Altar Stone directly on the solstice axis. 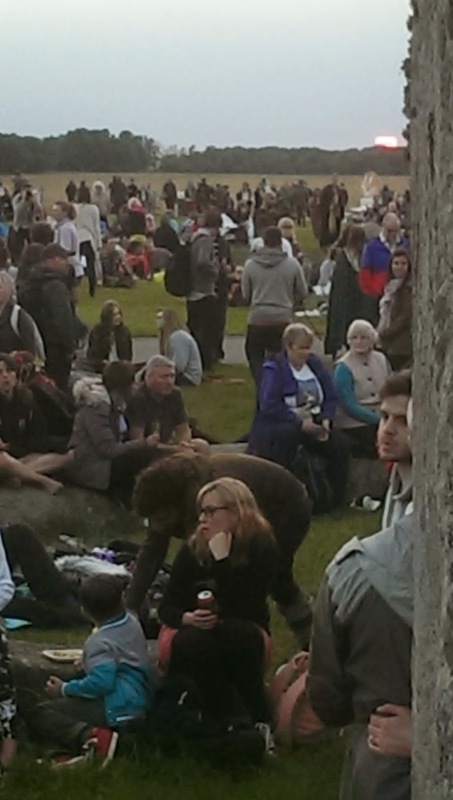 A week ago a lady emailed me: "I was just there with a group inside the circle and saw a sun cross design w-cross within a circle on a stone in the ground ever heard of that? The archaeologist I was with was not impressed -I got a pic though. 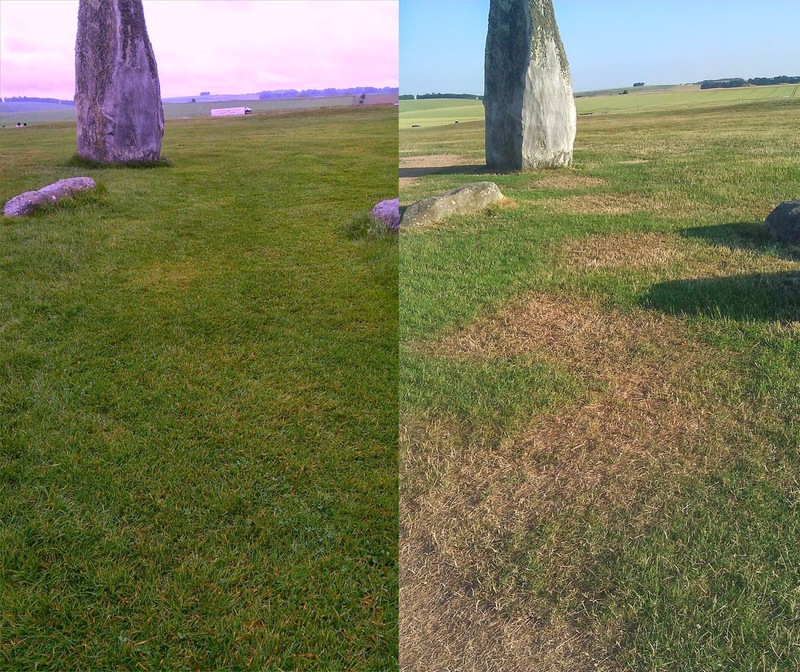 We left salisbury at 640 am that day last week and got there and a Druid group was just leaving , so I think we were in the stones around 745-830? We had an hour in there . I mention that bc no one , not even me could see it in that stone after a certain time." Can't see anything, was it a shoe tread in the dust? Any other thoughts? 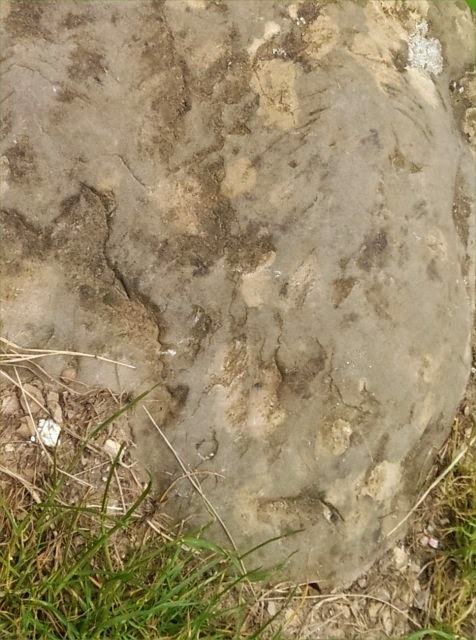 Of course some of you may have noticed the random shape on the Altar Stone which enabled me to identify where the mark was. 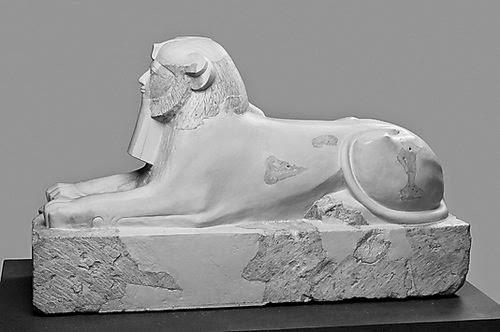 Similar but unrelated: Sphinx of Hatshepsut ca. 1479–1458 B.C. Read it online - fascinating. 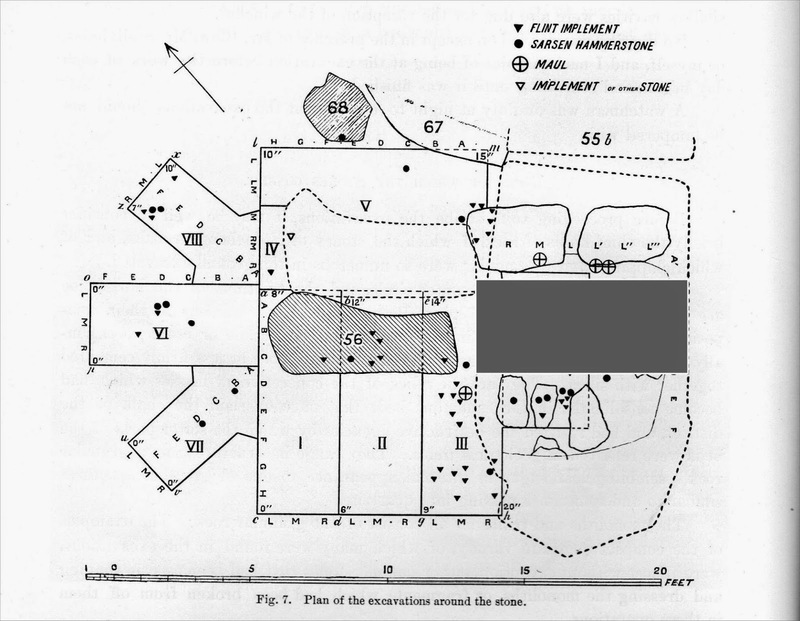 Regular readers may remember a bit of excitement last year when parch marks revealed missing stoneholes - see http://www.sarsen.org/2013/08/british-archaeology-article-on-parch.html and links. Despite the recent rain there has been enough dryness to start them showing again. Much clearer to the eye than to the camera but here is a shot comparing today with last summer. If we get a long dry spell there may well be much to look at, they can be seen from the public path so no special access is required. 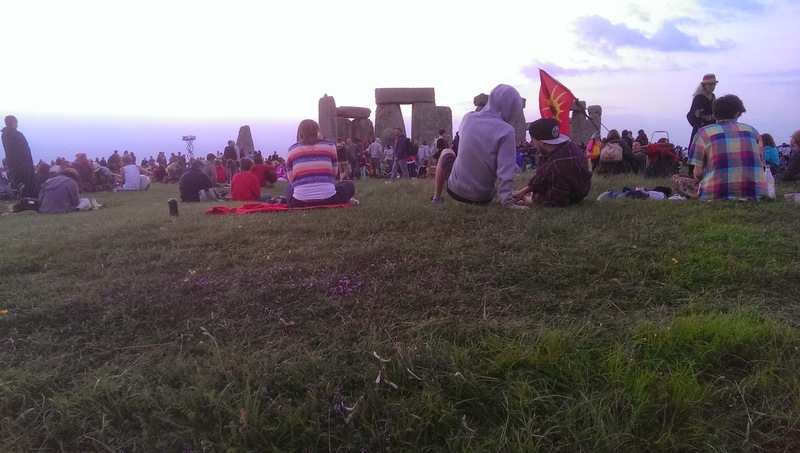 Provision for visiting Stonehenge was radically reorganised in 2013. Why was it so difficult to achieve? Will the new scheme work? Here we present a multi-part review of the new arrangements. 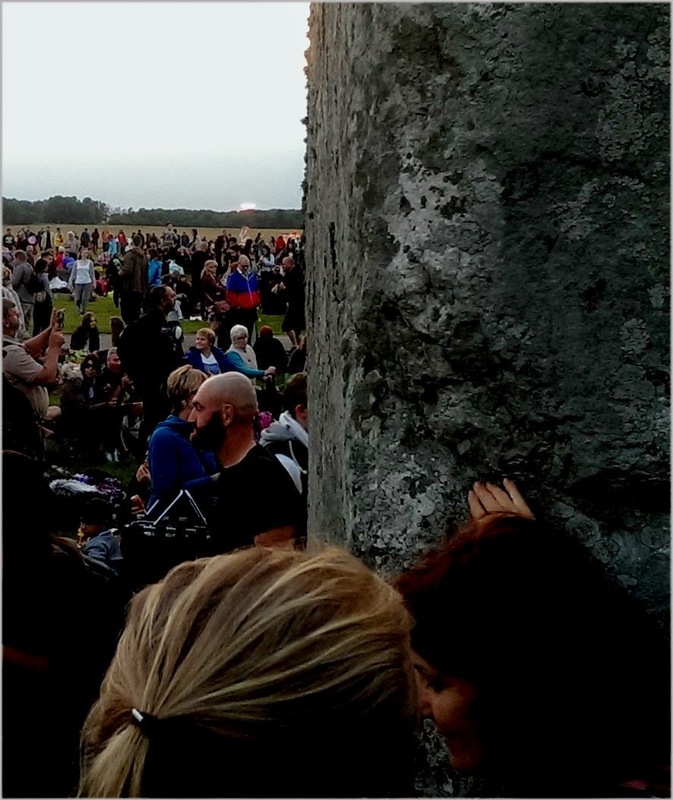 Christopher Chippindale is a former editor of Antiquity and author of Stonehenge complete, which recounts the changing fortunes of the monument down the ages. 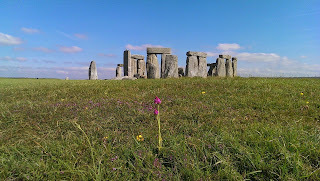 Mike Pitts has excavated at Stonehenge and written about the site in Hengeworld. Chris Gosden, Professor of European Archaeology at Oxford, approaches the issues from a World Heritage Site perspective. The section is co-ordinated by N. James who reviews the effectiveness of a visitor centre several minutes by land train from the stones. ©2014 © Antiquity Publications Ltd.